Perhaps it was the unseasonably warm weather in Davos, Switzerland that caused the shift of attention at the World Economic Forum to challenges faced by the global south and increasingly by developed nations: rising income and social inequality. OxFam released a report called Working for the Few that starkly illustrated the divide quite: the number of people whose wealth equals 50% of global assets could all squeeze into a double-decker bus. International Monetary Fund leaders expressed concern about rising inequality and its effect on political stability. Clearly, the rising economic tide has failed to raise all boats. Under the circumstances, “winner takes all” may be a better catchphrase. Another truism to be revisited is the notion that increasing wealth automatically results in increased relative or absolute amounts of philanthropic and charitable giving. More to the point is the question of whether the political and economic arrangements contributing to growing gaps can be addressed through voluntary giving or whether they require more structural approaches. Those arguing that giving can and should play a role in contributing to gradual change, or at least in shielding the most vulnerable groups, remind us that it cannot spring from charitable impulses alone. What is needed is philanthropy, conceived as a set of socially-conscious capabilities and practices that can be encouraged and shaped by a blend of legal, fiscal, socio-cultural and economic factors. In this context, the presence of local philanthropy in new markets and emerging economies is hailed as a possible, albeit limited, answer to growing disparities and new population needs. 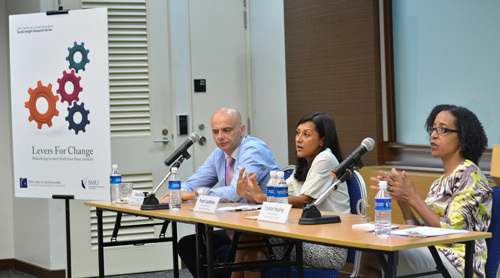 The Lien Centre for Social Innovation, a think-tank based at Singapore Management University, partnered with the International Development and Research Centre to study the extent of philanthropy in Southeast Asia and its link to public policy in four Southeast Asian economies (Indonesia, the Philippines, Singapore and Thailand). Our report, entitled Levers for Change: Philanthropy in Select Southeast Asian Countries sets out to answer the question: how has philanthropy developed in the region and how is public policy and practice encouraging or inhibiting its growth? The Giving Pledge now has 122 signatories in 11 countries, but only two of them are from South East Asia, despite the fact that Asia’s number of ultra high net worth (HNW) individuals (those with $30M US or more) has caught up to levels in the US and Europe and is expected to eclipse those regions within the next five to ten years. The Giving Pledge is only one marker, and there is no way to capture giving that is anonymous or unrecorded, but the available evidence suggests giving, especially by the wealthy in Asia, lags behind that of the West. Of course cultural differences should be acknowledged: giving and philanthropy will and should look different in Asia than they do in the West. Previous surveys of HNWs in the region suggest a greater interest in preserving wealth for future generations than developing strategies for giving it away. Those studies have concluded donors are motivated to give primarily in order to pass values from one generation to the next; they fund education and religion far more than other issues, are family- and clan-oriented, prefer giving to services over causes, and like to give quietly. So what does all this mean for those interested in increasing philanthropy to help it address social and economic inequity? The Lien Centre’s report reveals consistent evidence that thoughtful public policy can increase philanthropic giving, but it also uncovered many gaps and missed opportunities in policy and practice that hinder philanthropic growth, particularly philanthropy focused on addressing thorny social problems. Singapore clearly emerged as a leader in driving increased giving through policies that encourage domestic contributions to voluntary organizations. Donors can deduct two and a half times the value of their donations to approved NGOs in their tax filings, resulting in Singapore’s charitable contributions consistently increasing. In Indonesia, a growing movement of nonprofit organizations collects and distributes zakat (alms) to support community development for poverty alleviation, a relatively new approach since these are funds had primarily been given to temples for relief of the needy. Given that Islam requires zakat of all able-bodied Muslims, it potentially constitutes a vast sum of money in this, the largest Muslim nation in the world. In the Philippines, networks of NGOs lobbied for the creation of The Foundation for the Philippine Environment, set up in 1992 through a unique debt swap that required government support and legal permission. The Thai Health Foundation, the nation’s largest philanthropic institution, established under the Health Promotion Act of 2001, is funded by a 2% excise tax on alcohol and tobacco products sold. The fund disburses about $100M US each year. Disaster relief has grown significantly in all four countries and is raising the profile of community-wide giving rather than just giving by the extremely wealthy. Nascent efforts to start community foundations shows promise as a way of focusing resources on community needs while also providing donor education. Lack of Data. A number of significant challenges remain, however. Limited data on philanthropy and nonprofits inhibits growth in all four countries. This makes it difficult to accurately capture the state of giving, while resistance to data collection inhibits public faith in the sector as well as entrenching inefficiencies in funds disbursement and donor isolation. Awareness of the need for philanthropic efforts is limited. Focus on the high average income has, until very recently, overshadowed discussions of poverty pockets in Singapore. Similarly for the region, the focus on rapid economic growth limits attention for wealth disparities and persistent poverty. Moreover, there is a perception among many HNW individuals that socio-economic issues are the responsibility of governments and international aid bodies. Limitations of Tax Policies. Individual income tax policy (which in the US is considered a key driver of charitable giving) is underutilized in the region, with the exception of Singapore, largely because of the limited potential of individual taxes as a lever for change in emerging economies. In these countries, a small portion of the population pays income taxes and the effective tax rate is relatively low. Tax collectors face highly mobile, extremely savvy HNW individuals who will unlikely be swayed by modest deductions on taxes they may in any case be able to avoid. Nor does this tend to be a high priority for NGO activists. Much of the wealth in the region rests with individuals and families in privately held conglomerates with close government connections. Transparency in corporate and inheritance tax policy is a critical work in progress. NGO activists, who in the West fight for the charitable deduction, may understandably choose to focus on government accountability and transparency rather than tax breaks for the wealthy. While the possibilities of individual income tax may be limited, corporate or industry taxes may prove to be an area of opportunity for spurring institutional philanthropy. In 2007, Indonesia passed Law No 40 on limited Liability Companies requiring extractive industries to contribute 2% of profits to community benefit. Without transparency and clear reporting, it is currently impossible to measure the impact of this law, but many hope such funds could eventually be channeled into local grantmaking. Skepticism about corporate giving. Corporate giving is increasingly viewed with skepticism by NGOs because more corporations are now fundraising for company-run programmes. In Indonesia, NGOs have developed a set of recommended ethics for media fundraising as they have watched newspapers raise millions for disaster relief, with little accountability for how funds were distributed. Distrust of NGO’s. The fact that regulation of NGOs is either nonexistent or unenforcement creates confusion in the field and undermines public faith and support in nonprofit and philanthropic institutions. In the Philippines, a voluntary ‘accreditation’ for NGOs is being tried as a way to break through donor distrust for the sector. The symbiotic, yet sometimes uneasy, relationship between nonprofits and donors was highlighted as a challenge in all four countries. NGOs would prefer donors to offer longer-term support to build institutional capacity, while many donors cite lack of accountability as a reason many create their own projects rather than working with NGOs. Robust networks of donors and NGOs, as evidenced in the Philippines and increasingly in Singapore, can begin to help overcome these challenges through knowledge sharing of best practice. Singapore’s tax benefits for charitable giving currently do not apply to NGOs working outside of Singapore. 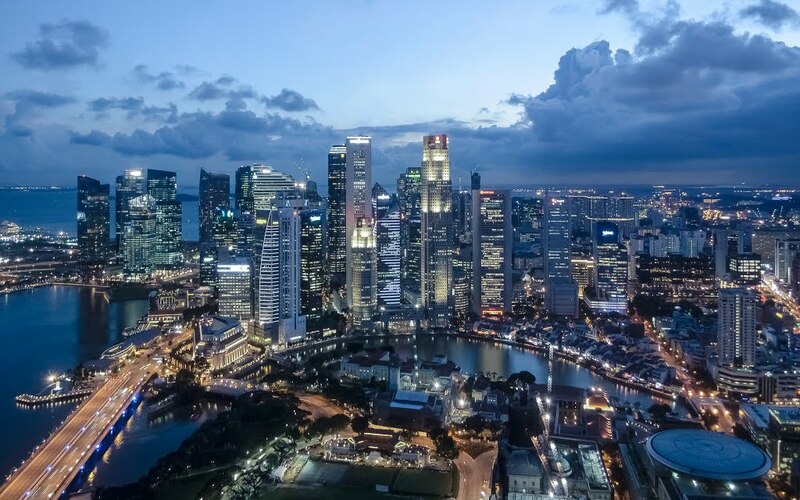 As an economic and policy leader in the region, expansion of those policies could significantly spur giving especially since so much of the region’s wealth sits in Singapore’s private banks. All four countries would benefit from concerted donor education to advance strategic philanthropy and move beyond chequebook charity. A promising sign is the nascent development of community foundations and giving circles where donors, large and small, can pool financial resources and match funds with expertise on community needs to support worthy NGOs. Regional collaboration could help each country align interests in maximizing revenues while also encouraging philanthropy. Could ASEAN (Association of Southeast Asian Nations) consider philanthropic policy as part of its mandate? Social media may be a means of increasing broad-based community fundraising. Mobile technology has a strong presence in all of the countries studied and has the potential to be a platform for change. Ultimately, philanthropy’s singular value is its ability to be seed capital and patient capital for civil society. Governments and markets cannot build equitable societies without a vibrant civil society. And civil society needs strategic, thoughtful, educated and engaged donors as partners. The enabling environment for strategic philanthropy can be improved through policies that encourage innovation in civil society, increase non-profit and philanthropic accountability, improve data collection, and celebrate risk-taking leaders. Maybe this will be a topic for next year’s Davos. This piece, written in collaboration with Rosalia Sciortino and Prapti Upadhay, originally appeared in March 2014 issue of Alliance magazine.